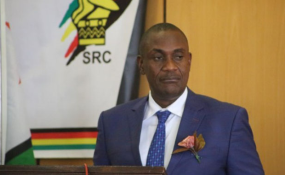 "Government places responsibility for compensation for victims of the violence, destruction of property, injury and loss of life on the MDC-Alliance and all its associates," Minister Ncube said. "Government wishes to advise all those who were affected that Zimbabwe law allows them to seek redress from perpetrators and organisers. We therefore urge all whose property was destroyed, goods looted to quantify the damages incurred and report to nearest police stations. This should serve as a lesson to all those who are bent on causing chaos and mayhem in the country, that your actions will not go unpunished. You are liable to pay compensation to the affected people." MDC-Alliance's Democratic Resistance Committees (DRC) and their paramilitary wing, the Vanguard, led highly organised criminal activities during Monday's unrests. The protests were held without notifying the police as required by the country's laws. He commended the Zimbabwe Defence Forces and other security services for standing firm and restoring law and order under "extraordinary circumstances." "Our security agents are on the ground monitoring the situation to ensure that those who want to engage in their normal business do so without hindrance," he said. "We are also appealing to all public service providers to render their services to the people of Zimbabwe and in the same vein urge transport operators to resume carrying passengers, schools to open and generally for the public to engage in their various activities freely." "Government urges members of the public to report all unlawful activities to the police," he said. "These are falsehoods," he said. "Government's position is that it will not pay salaries in foreign currency. We wish to thank all Zimbabweans who have remained peaceful despite provocation by unruly elements, hence our appeal for calmness."